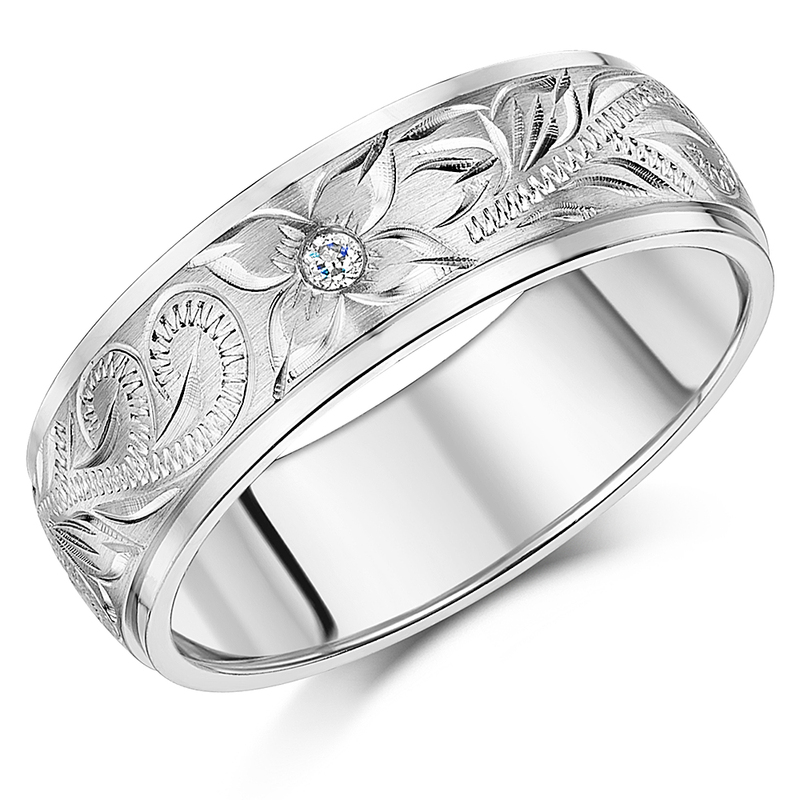 An 8mm hand crafted beautiful and unique engraved titanium wedding ring band with two sparkling CZ stones.An intricated design lends elegance to a stylish wedding ring band made of versatile titanium material. 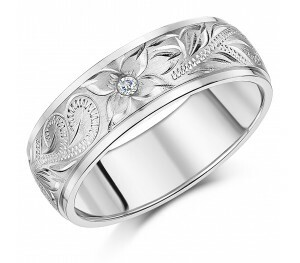 Hand crafted with beautiful flower and swirls design, the ring is set off with the two sparkling cubic zirconia stones embedded in the design for the finishing touch. 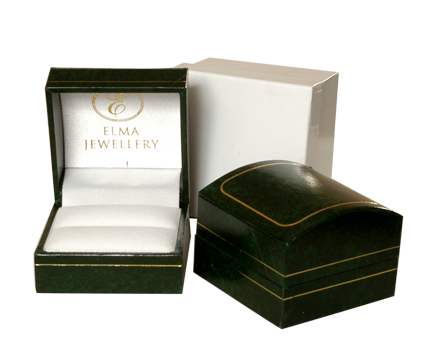 A modern, elegant piece suitable to be worn as a fashion ring or an alternative wedding band.